Gilas Pilipinas sets Finals Showdown against China later today: What Should Philippines do to beat the taller Chinese Ballers? 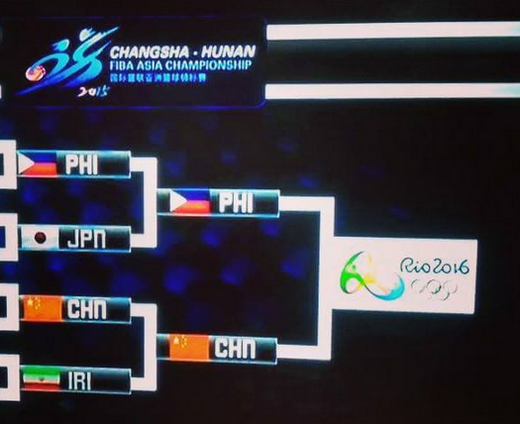 One more win to go and Gilas Pilipinas will be in the prestigious 2016 Rio Olympics! They will face the FIBA Asia Championship 2015 host country China later today at 8:30 pm in the tournament finals. To simplify things after watching how the Chinese demolished the Iranians in the semifinals in almost all aspect of the game, there's no other way for the Philippines to go but full throttle on defense if they want to disrupt the well oiled offense of China. Personally, I want to seem them use Coach Franz Pumaren's style wherein he implemented a no let-up full court pressure defense to shut down the opposing team's half-court plays right from the inbound play. It was very effective during De La Salle University's reign in the UAAP few years back. Good thing the Nationals were able to conserve some of their energy when they took down Japan last night, 81-70. There's really no reason for them not to put their 100 percent effort on defense to stop the taller Chinese ballers' offensive set-up. So, goodluck and Godspeed Team Philippines!